At the North Shore Center for the Performing Arts in Skokie. 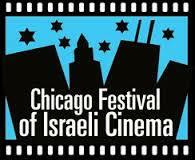 6:00-7:30 pm VIP Gala, including our 4th Annual Taste of Israel, followed by a 8:00 pm screening. With special musical program by Harmonia composers Ofer Shabi and Yaniv Fridel and Q&A with director Ori Sivan. Hosted by Congregation Beth Shalom. Drama set to music. 98 min. In Hebrew and Arabic with English subtitles. A modern adaptation of the biblical triangle between the childless Abraham and Sarah and the young Hagar, with Sarah is the harpist of the Jerusalem Philharmonic, Abraham is its almighty conductor and Hagar its new French horn player from East Jerusalem. Hagar bonds with Sarah and a unique friendship evolves between the two women. Feeling Sarah’s pain from not having children, Hagar offers to have a baby for her from Abraham, shaking the thin balance in the family. Eventually the two sons—Ben, later Ishmael, born to Hagar, and Isaac, born to Sarah ten years later—find a way to combine their significant Eastern and Western musical talents and seek harmony. Stars: Alon Aboutboul (London Has Fallen, The Dark Night Rises, A Place in Heaven), Tali Sharon (Norman, She’s Coming Home, Srugim), Ali Suliman (The Atttack, Homeland, A Borrowed Identity) and Yanna Yossef. Perhaps the greatest strength of this film is its use of music to communicate the feelings and personalities of the different characters. Over the past 10 years, Israeli-born and classically trained Ofer Shabi and Yaniv Fridel, aka OJ & Fridel, have written, produced, engineered and otherwise creatively collaborated on music for film, TV and theatrical productions across the globe. Currently based in the heart of London, their Soho Sonic Studios’ clients include Usher, Idris Elba, Lisa Stansfield, the BBC and The National Theatre UK. They worked very closely with director Ori Sivan on Harmonia, carefully editing Rimsky-Korsakov’s Scheherazade to their own original compositions throughout the film.